A skid loader or skid steer loader is a loader with a small, rigid and strong frame body, a powerful engine with an lift arm that is used to install various tools and other additions. Although sometimes equipped with a track, but generally a skid steer loader is a motorized vehicle with a 4WD wheel drive (four wheel drive) with the left side wheel independent (free) from the right side of the wheel. Because it has each side of the wheel that is free from the other side of the wheel, the speed of the wheel and the direction of the wheel determine the direction the loader will change. Skid steer loaders can rotate back in zero radius (zero radius), this makes them able to maneuver extreme and very useful for the application of compact and agile loaders. Unlike conventional loaders, the lift arms on this machine are next to the driver (driver) with a pivot point behind the driver's shoulder, because the operator is close to the moving boom, the previous skid steer loader is not as safe as a conventional loader, especially when entering and leaving the cabin (operator room). The modern liugong skid steer loader is equipped with a cabin that is completely closed and also equipped with other features to protect the operator. Like other loaders, skid steer loaders can push material from one location to another, lift material with a bucket or load material into a truck or trailer. In Indonesia, the Liugong Skid steer loader has several series from small to large. This Liugong loader has various advantages compared to other brand loaders in its class. Equipped with a variety of work tool options, extensive operator space and ergonomics and joystick controls that the operator can operate more easily, has a high performance power train and a more advanced hydraulic system so that it can produce high performance and efficient work. Skid Steer is one of the most popular types of mini loaders used in construction areas. This type of loader has a smaller size that has several advantages such as easier control and the ability to work in a narrow area though. To maximize the performance of the skid steer loader, it is advisable to choose the right tire and quality so as to reduce downtime and of course operational costs. 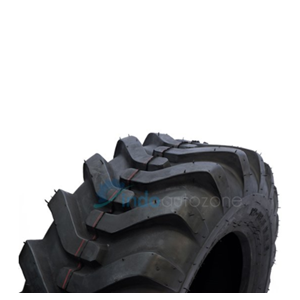 Indo Autozone provides skid steer loader wheels and skid steer loader tires of various sizes and thicknesses. We also provide solid tires or dead tires for skid steer loader that is very suitable to use if your unit is working in the most extreme field though. We also provide tires for forklifts. 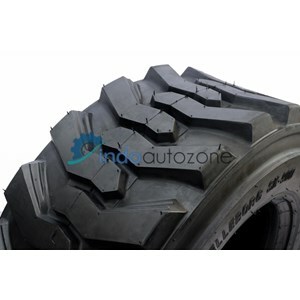 Anda Mencari "Skid Steer Loader Tire"? Buat Permintaan Untuk "Skid Steer Loader Tire"